Heidi Bucher (b. 1926, Winterthur, Switzerland; d. 1993, Brunnen, Switzerland) was a Swiss artist best remembered for her innovative use of latex and exploration of the physical boundaries between the body and its surroundings. Serving simultaneously as means of historical preservation and metaphorical molting, Bucher’s Hauträume—or “roomskins”—act as indexes of the complicated relationship humans have to their bodies and pasts. Working across the United States, Switzerland, and the Canary Islands, Bucher forged a practice anchored in familial, cultural, and architectural histories and deeply entwined with contemporary concerns around the boundaries between public and private space, and femininity and the body. Though Bucher’s many bodies of work—from her early drawings and wearable sculptures to her later latex-encased objects and Hauträume—each reflect distinct artistic interests and origins, they all trace back to the artist’s mantra, which uniquely summarizes her career-long engagement with bodies and rooms: Räume sind Hüllen, sind Häute (Spaces are shells, are skins). Later in her career, Bucher expanded her practice to engage with public spaces, such as Swiss hotels, government offices, and mental health institutions. Today, her work exists in many surviving drawings, sculptures, and fragments, as well as in the photographs and videos which were often integral to the documentation and even creation of each body of latex works. Bucher attended the School for Applied Arts in Zurich from 1942 to 1946, specializing in Fashion Design. Solo exhibitions of her work have been organized at the Parasol Unit, London (2018); the Swiss Institute of Contemporary Art, New York (2014); Centre Culturel Suisse, Paris (2013); Migros Museum für Gegenwartskunst, Zurich (2004); Kunstmuseum Thurgau, CH (1993); Los Angeles County Museum of Art, CA (1972); Musée d’Art Contemporain, Montréal, Canada (1971); and Museum of Contemporary Crafts, New York (1971) among others. Recent group exhibitions featuring her work include An Intricate Weave, Nottingham Contemporary, UK (2018); The Everywhere Studio, Institute of Contemporary Art, Miami, USA (2017); Women House, la Monnaie de Paris, Paris, France and National Museum of Women in the Arts, Washington D.C. (2017); Viva Arte Viva, 57th Venice Biennale, Italy (2017); No Place Like Home, Israel Museum, Jerusalem (2017); Room, Warwick Arts Centre, Warwick, UK (2017); and Artists and Architecture, Variable Dimensions, Pavillon de l’Arsenal, Paris, France (2015). 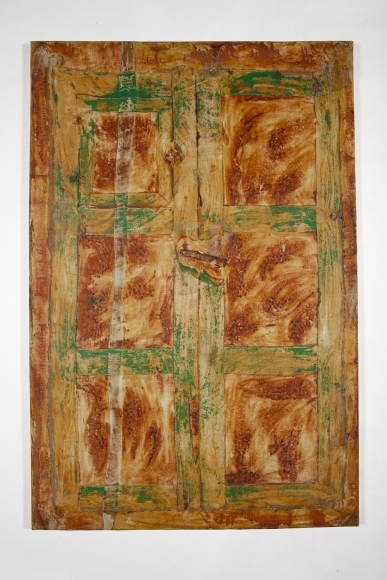 Bucher’s work is featured in numerous international public and private collections, including the Hammer Museum, Los Angeles, USA; Centre Georges Pompidou, Paris, France; Kadist Art Foundation, Paris, France and San Francisco, CA; Metropolitan Museum of Art, New York; Migros Museum für Gegenwartskunst, Zurich, Switzerland; Musée Jenisch Vevey, Switzerland; and Kunstmuseum Winterthur, Winterthur, Switzerland.